UniPG's Racing Team is preparing for the Formula SAE Collegiate Competition, and needed a hand with some challenging software solutions. Evonove has a long history of reaching out to students and perpetual learners of all kinds, to offer and provide a supportive context for innovative thinking and collaboration. Fitting with our motto, ‘try, fail, learn, repeat’ is the satisfaction of finding real people, kindred spirits in our midst, with a passion to sweat and take risks, all in the hope of creating a software or product that is innovative, and market viable! So, we are happy to offer technical support and supplies, to promote the spirit of innovation, especially in students. In this vein, we recently welcomed into the office a temporary team member and Computer Science student at the University of Perugia, Luca Treppaoli. 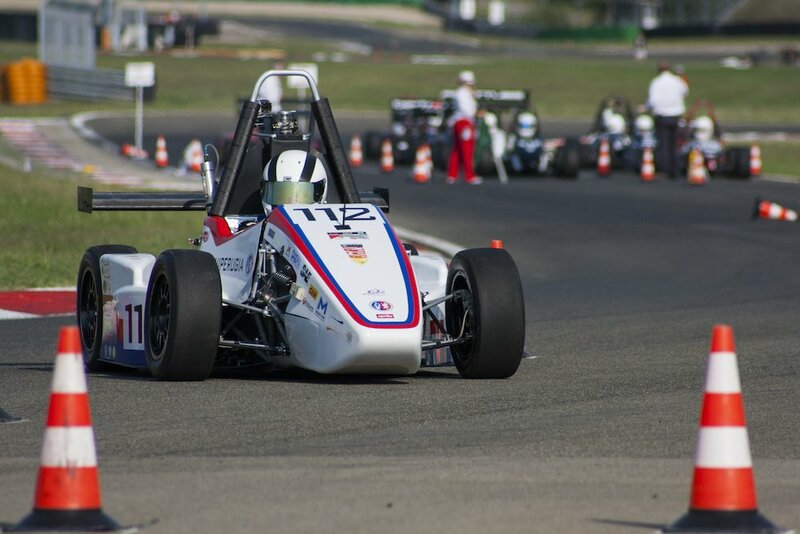 As part of his graduation thesis, Treppaoli joined forces with a team of engineering students at the University of Perugia who will be racing in next year’s Formula SAE Collegiate Competitions. The competitions are organized by SAE International (Society of Automotive Engineers) and races take place throughout the year all over the world, from Japan to the UK, USA, and Italy. The students’ task is to design, build and test the performance of a small Formula-style racing car. After up to 12 months of intense effort, projects are judged based on static and dynamic criteria, including technical inspection, cost, engineering design, and performance. And finally, they are sent on the track to race. The vision of the SAE Collegiate Competition is to take students beyond textbook theory to real world application. Students must work together to deal with budgeting restrictions, time constraints and resource management to create a product that is innovative and market viable. In the end, the team must present a cost analysis, a business plan, and the engineering design behind their vehicle. 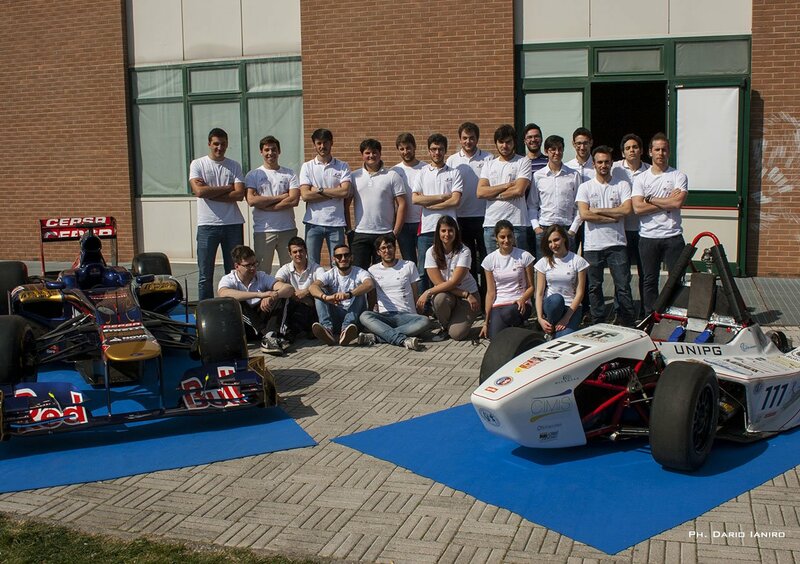 The Racing Team at the University of Perugia was founded back in 2011. With about twenty-five students consistently working on the project, professor support, and collaboration from sponsors around the region, they have made leaps and bounds in the past five years and are now ready to start manufacturing a new model of the car for an upcoming race set to take place in June 2017. The work is split up into five distinct teams- motor, frame and suspension, business and marketing, aerodynamics, and computer science. The latter category is where Treppaoli, and Evonove, come in. The Racing Team was faced with the challenge of creating a software that could test their prototype in terms of speed, efficiency and performance before the race, and so they went searching in the Computer Science Department for an aspiring developer. They found Treppaoli, who was willing to invest his time and even base his thesis on what he found to be a very exciting challenge. He was asked to develop a vital software solution that could communicate directly with the car and transform hard data into readable graphs, all in real time. On top of that, he would need to develop a mobile app for users that presented the data in a clear and intelligible design. He presented the proposal for his project to the team at Evonove, and we enthusiastically offered our support. So here we are, creating a multilevel solution to meet the needs of the Racing Team. The development started with the hardware, a device that could hook onto the motor and collect raw data. Then, we had to create a software to read the data and communicate with the web service through the cloud. This, we affectionately dubbed Slimer (Ghostbusters kickback, anyone?) Then, of course, there was the web service itself, Tully. Tully is a RESTful web service, whose job is to receive data from Slimer through a 3G connection, then process and convert the data into another format so that it can be used by the tech and smartphone apps. Stay tuned here, for more technical information on how the project has evolved. We will be adding some graphs to show off the craftsmanship. Enjoy following along as we reach the completion of this latest challenge!